This is a bust of the incredibly popular and influential musical legend Frank Sinatra. Born in New Jersey he became one of the best selling artists of the 20th Century. 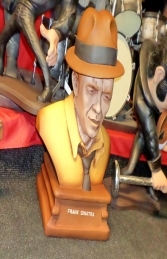 This bust of the infamous Sinatra figure is very popular if you don't have room for the life-size version. 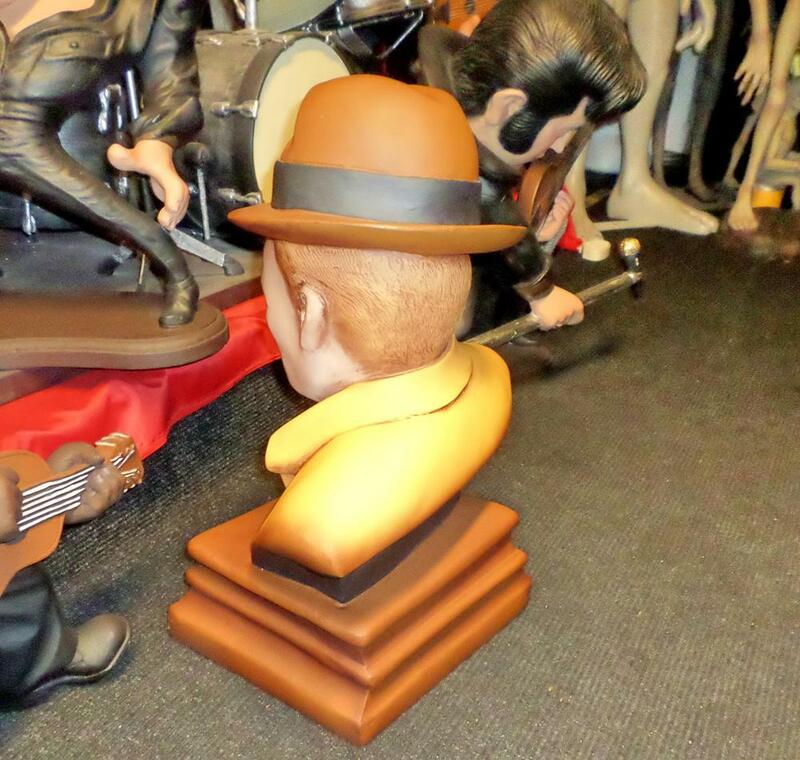 Made of cold-cast poly-resin and fibre-glass this 3D model of Sinatra are ideal for music, entertainment and Hollywood themes, Movie and film displays, advertising or drawing attention to your business or for the home and garden. As it is only approx 2ft tall approximately it fits on counter/bar tops or in alcoves. 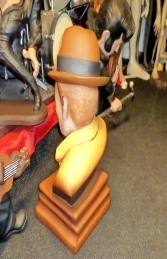 Our Hollywood and Entertainment Series statues an be used in shops, businesses, pubs, restaurants, coffee shops, adventure golf courses, theme parks the list is endless! These figures make a huge impact at a themed party and will always have lots of people wanting their pictures taken with the stars. PLEASE CONTACT US ON 01626 833646 or 07860 680181 TO DISCUSS THIS MODEL & THE OTHERS IN OUR HOLLYWOOD SERIES. PLEASE PHONE US TO PLACE AN ORDER & FOR A QUOTE FOR DELIVERY COST TO YOUR POSTCODE.